Expenditure Order - Order Set-aside (Parmod Saini, Hansraj, Kamal Kishore and Dhiraj Kumar) of Municipal Council, Narnaul. Press Note - Related to muncipal corporation election Gurugram , Municipal committee , Barara(Ambala) , and Radaur etc. 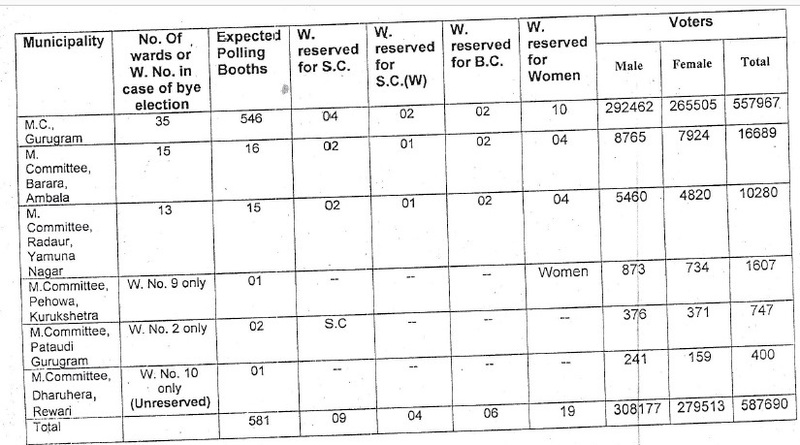 How to Check Haryana MC Election Results? 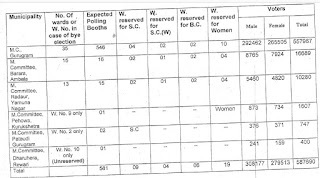 >> Haryana MC Bye Poll 2016-17 Notification - The election commission of Haryana publish gazetted notification for 5th general municipal on 29 April 2016for All Districts Nikay poll nominations 05 to 11 May 2016, scrutiny of nominations 12.05.2016, with-drawl of candidature13.05.2016, polling on 22 May 2016, counting of votes ward on 22.05.2016 at 05.00 pm. Is in Process Available Now……………………. For Panchayat Samiti & Zilla Parishad Members Vote Counting will be taken in 28 January 2016………..